If you are an artist, your life might just be a little bit cluttered. Someone once said that “when you have a creative mind, it doesn’t stop going.” The creative process can be messy, and it’s important to have a way to organize. At Affordable Family Storage, we think that a self-storage unit is perfect for artists. In today’s blog post, we’ll give you three reasons why you should invest in a self-storage unit as an artist. If art is your full-time job, you may be able to qualify for tax exemptions for all of your storage needs. There are a lot of tax exemptions available for work-related spending, including storage, and your 1040 may indicate that you qualify. As an artist, a self-storage unit is great for keeping your work secure and protected as well as keeping your equipment stored. You can keep your equipment at home and clog up whatever space you have left, or you can get a storage unit to split the difference. For amateur artists, it might not be worth it. But for full-time artists who may qualify for tax exemptions, it is well worth it. 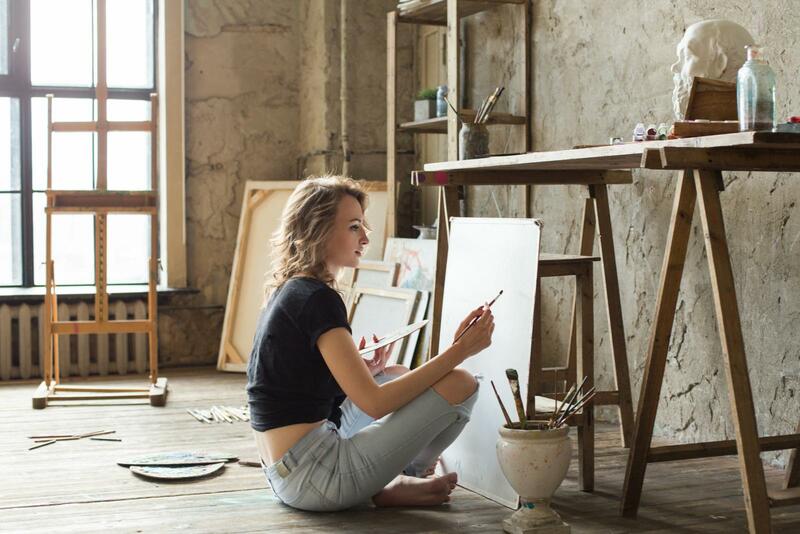 While most people who rent out a storage space use it for storage purposes only, a storage unit can be a great workspace for artists. For many artists, their garage or workshop is their workspace, but not all people have access to those spots. For people who live in apartments or even condos with smaller garage spaces, finding a workspace can seem impossible. At Affordable Family Storage, a self-storage unit could be your workspace solution. You can invest in temperature-controlled units to make sure your work is kept in the best position, and our spaces provide ample room for you to work and store your pieces. At Affordable Family Storage, we want to help you succeed in your art. We understand how difficult it is for artists to find storage that can protect the quality of their work and also provide them with a space to do that work. We think that our self-storage units are a perfect place for both. Give us a call today at (402) 810-8881 or request a quote today.